Home decorating reviews are definitely some of my favorite to do. My husband and I are pretty newly married (2 years) and are trying to phase out our old college furniture and accessories. A few weeks ago, I contacted Mohawk Home to see if I could review one of their rugs to add some adult furnishings to our home. I expected for them to let me review a small bathroom rug or something but instead, they let me pick the rug of my choice. This was extremely generous! My husband and I had fun looking at all of the nice rugs for sale. These rugs are available at Target, Kohls, Menards, Home Depot, Lowes, Walmart, Sears, etc. I looked through all of the different rugs available from the different retailers and decided on the Mohawk Home Dark Brown Eason rug from Lowes (seen in the top picture). I got the 5'3" x 7'10" rug which retails for $128. I love it! Right now, we have it on our kitchen floor because the rest of the house is carpeted. I'm not sure how long we will keep it there because I don't want food falling on it! In our next home, I would put it on a living room floor or even in a bedroom. I cannot tell you how much I like this rug. When it comes to choosing a pattern on things, I am very picky. With Mohawk Home, there was so many options to choose from that everyone can find a rug that they love. 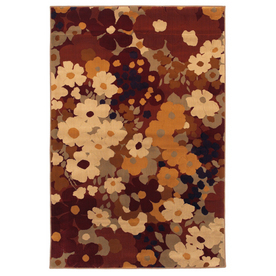 It is a very nice quality and I love the dark brown with the flowers. I think $128 for the rug is very reasonable. The rug is stain, oil, and fade resistent. I would highly recommend this company and may even shop with them in the future when we eventually buy a bigger home! Thanks so much Mohawk home! The giveaway will be for any rug from Mohawk Home around the size of 5 x 8 or smaller and $400 or under to one lucky reader of The Nutritionist Reviews. The giveaway is open until Midnight on Tuesday August 23rd. Winner will be chosen on Wednesday August 24th using Random.org. The winner will have 48 hours to respond or a new winner will be chosen. Visit the Mohawk Home website and let me know what rug you would choose if you won! -Like Mohawk Home on Facebook (1 entry). -Write on the Mohawk Home Facebook page that The Nutritionist Reviews sent you (2 entries). -Follow Mohawk Home on Twitter (1 entry). I entered one of your other giveaways. Think it was the water bottle or something like that. I liked MOhawk's FB page. i follow them on my twitter. I told them on Facebook that I came from here! I'd pick the Select Guilford Tarmac rug- would match my house perfectly. I entered your Seven Til Midnight giveaway. Oh, I think I like the Myesha rug the best--it's so hard to choose, though! I like the Mohawk Home Ankara Sandstorm 8 ft. x 10 ft. Accent Rug. It looks like it would hide dog hair well! I think I would pick the Mohawk Home 5' x 7' Multicolor Casual Area Rug. I like Mohawk on FB. 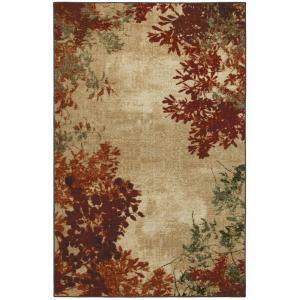 I like the Cordella Rug, very pretty. I like Mowhawk home on facebook, that is how I heard about your giveaway. thanks. Figi Medium Light Pine 8 ft. x 10 ft. Area Rug. I really like the Shattered Blue rug - very modern! The Ink Swirl is my favorite. There's way too many to choose from! I'd pick the Mohawk Home Inferno Green Woven Rug, or the Select Strata Aqua Fusion Rug! I would get the Mohawk Home 8' x 10' Glimmer Premiere Area Rug. 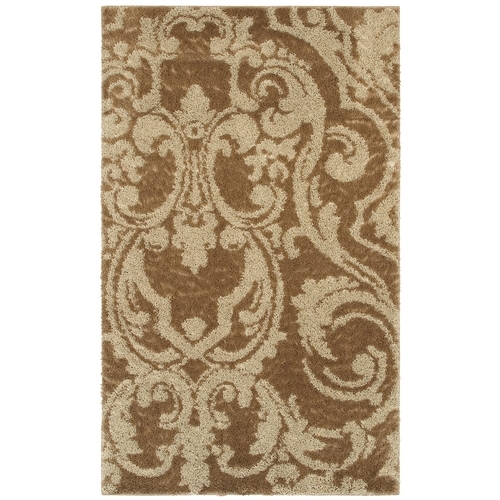 I'd choose the Mohawk Home Asian Branches Rug Collection - Coconut. Mohawk Home 5'3" x 7'10" Multicolor Select Pinnacle Area Rug would look so awesome in our living room!! Dig the Watamu Room Size Rug (zebra!). 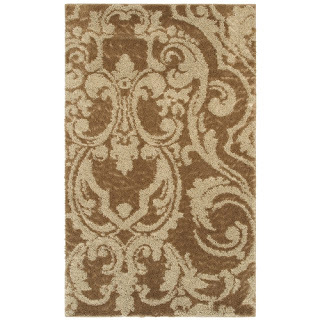 I really love the Mohawk Home Westfield Camel rug from Kohl's for $277. I am a fan of Mohawk on Facebook. I liked the look of the Ancient Kingdom Royalty Red room sized rugs. They would go great under my dining table. Liked your Facebook page and left a comment under your wall post about this giveaway.